The world of robot related technologies is vast and complicated. It’s also unbelievably fascinating, not to mention an inevitable part of our future. 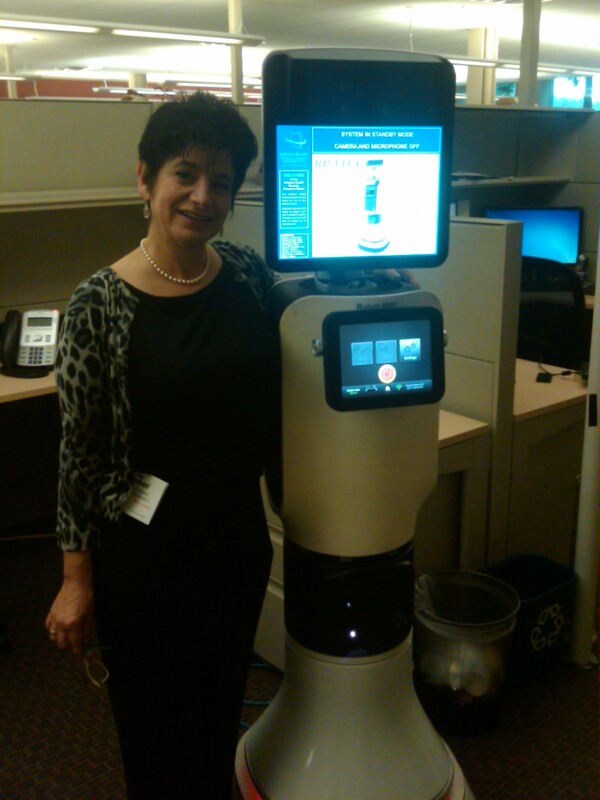 Since 1986, Dr. Joanne Pransky has operated as the World’s First Robotic Psychiatrist®, – the real-life Susan Calvin, dubbed by Isaac Asimov himself in 1989. As we rapidly move into the stage of civilization where AI (artificial intelligence) and personal service robots are far more reality than science fiction, the need for someone to act as a bridge between worlds is ever-present. When the public talks about robots, there tends to be a constant undertone of disbelief or distrust, often fueled by the media. Joanne has been anticipating how those attitudes are going to affect a world in which robots will become part of our daily life sooner rather than later. As robots become a constant in our lives, we’ll grow accustomed to treating and loving them as we do our pets, even projecting human emotions onto them if their own aren’t already simulated. How will our electromechanical friends respond? As robot related technologies continue to advance, the world as we know it will be reshaped. Robots have proven to improve the quality of the human condition both at work and at home, creating more meaningful vocations and apportioning more time for us to focus on what we find important. In aiding us humans to make our everyday tasks easier, they will take on the functions of caretakers, maids, drivers, waiters, medical professionals, even romantic companions if we’re lonely. As AI continues to develop at an accelerating pace, so will our acceptance of cybernetic enhancements to our own biology. Our reliance on robots will develop, not as servants, but as companions and colleagues, as they branch out to assist us. Creation is viewed as a very human ability… will our robotic counterparts match us? Joanne is here to find out. The difference between robotic and human intelligence may seem worlds apart, which is why the practice of “robotic psychiatry” will become prevalent as robot related technologies are interwoven more fluently into our lives. She regularly consults with major companies to discuss the ways their robotic technology can be successfully introduced to humanity. Visit her YouTube channel to see some of her patient therapies!